Being involved in a car crash as a pedestrian is one of the most terrifying experiences anyone can have. When you’re struck by 4,000 pounds of steel or aluminum, the injuries that result can be horrific. If you have been injured in a crash as a pedestrian, it’s important to contact a lawyer right away. Your Washington DC pedestrian accident attorney can explain your rights and help you take the next steps in your personal injury case. Although the number of car accidents has dropped in recent years, pedestrian accidents have climbed steadily. Safety experts say there are a few possible reasons for this trend. As an increasing number of people try to live a healthier lifestyle, they may opt to walk instead of drive. Rising fuel costs and growing concerns about the impact of fossil fuels on the environment is also leading more people to carpool or take public transportation. When they arrive in the city for work or to run errands, they must do so on foot. In 2013, for example, there were over 4,700 pedestrian deaths in the United States, which translates to two deaths every single day. The same year, another 150,000 pedestrians were treated in emergency rooms for injuries sustained in a car-related accident. Distracted driving is also playing a role in the rise in pedestrian accidents. Although many states have made it illegal to text and drive, the temptation to glance down at a buzzing phone is often too much for motorists to overcome. Studies have shown that even hands-free devices are not enough to reduce the level of driver distraction. Broken bones. The human body doesn’t stand a chance against a car or truck. Serious injuries can occur, even in cases where a car is backing out of a parking spot, pulling out of a parking lot, or traveling at a low rate of speed. In many cases, bones are crushed, making it necessary for the injury victim to undergo surgery simply to retain function. In the most catastrophic cases, doctors can’t repair a crushing injury, and the accident victim must undergo an amputation. Lacerations. Glass is always a potential source of injury in any kind of crash. Because pedestrians don’t have airbags to protect them in a collision, they are frequently cut by glass, metal, and other debris in an accident. Internal injuries. Certain parts of the body, such as the abdomen, have very little protection in a car-related accident. Internal organs can be seriously damaged in a collision. If you have been injured as a pedestrian in an accident caused by another person’s carelessness, you may be entitled to money for your injuries, pain and suffering, medical bills, lost wages, and other losses. 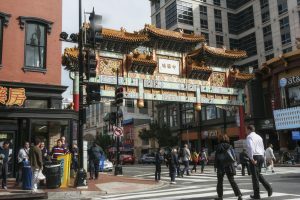 The Washington DC pedestrian accident attorney at Mesirow & Associates, PLLC are available today to speak to you about your pedestrian accident. Call at 866-463-0303 today to schedule your complimentary case evaluation. Is the Pedestrian Always Right?